Nu’s is a small open air restaurant in the North End of Chiang Mai, serving both lunch and dinner. Nu is fluent in English, and has menus in Thai AND English. Note: If you don’t want the food ‘too spicy’ he will understand. 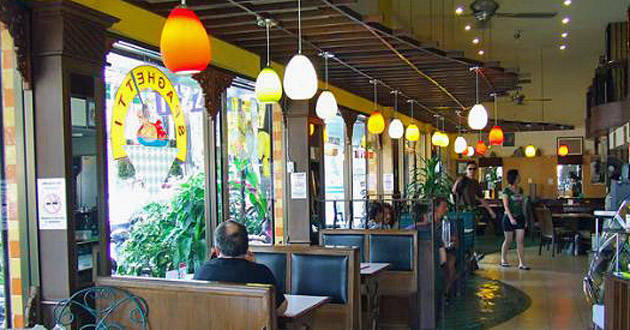 The vast majority of dishes are Thai, although he does have several western items, such as club sanwhiches. A very well made, and large, Chicken Pad Thai, and (3) three chicken satays (skewers) with peanut sauce. TOTAL COST = 65baht @ 32.5 = $2.00. That’s right, $2.00USD! It’s about 100-feet from the BEST Seviced Apartment in Chiang Mai, the Viangbua Mansion. I tell ya what: ‘Everyday in Everyway, it’s getting Better, and Better, and Better’! 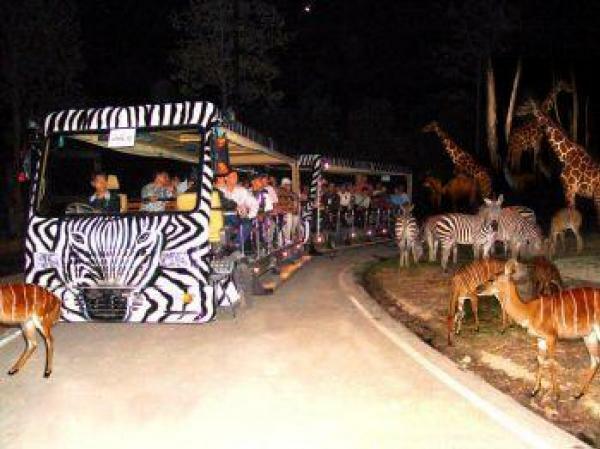 Chiang Mai – Night Safari wins award for BEST £60 ‘Exotic Buffet’, AND . . .
Thailand Tourism Awardshas been held once every two years since 1996 and is approved by World Tourism Organisation. “After three years of hard work, Chiang Mai Night Safari is proud of this award and we promise to continue improving,” the director of Chiang Mai Night Safari, Sarawut Srisakun, said. Okay, now what about the BEST £60 ‘Exotic Buffet’? Seriously, you can’t make this sh*t up! Nestled in a little mud house in the carpark of Chiang Mai University Art Centre on the quiet end of Nimmanhaemin Rd, this Japanese runned cafe offers lovely healthy vegetarian meals, fantastic looking drinks (especially on a hot day!) and desserts. After much deliberation on the type of curry I want, I settle for the DinDee Original Curry, which contains chickpeas, kidney beans, vegetables and gram masala. If you can’t eat spicy food, you’d be relieved to know that this curry is only very mildly spicy, and it’s very lovely with the brown rice – a very nice, light, gentle and comforting meal. White rice is also available if you don’t like brown rice. The soup that comes with the curry is great too. 109 baht ($3.63 USD – OUTRAGEOUS!) for the set or 90 baht ($3.00 – hey, that’s much better!) for curry only. Normally I find veggie food ‘way too healthy’; but when I want to tempt fate, hey why not? In existence for less than a year, Anchan Vegetarian is already rated number one out of 979 restaurants in Chiang Mai on TripAdvisor. An impressive feat, but as soon as you enter this lovingly decorated little second floor establishment off Nimman, you’ll understand the charm. Friendly staff serve up delicious Thai curries, fresh homemade butterfly pea juice and a killer deep fried banana flower salad, all made from organic, locally sourced ingredients. As part of one of Chiang Mai’s most beloved non-profits, Thai Freedom House, Free Bird Cafe is the place to be when you’re looking to feel good inside and out. Their meat-free Burmese food is of the extra healthy variety – no deep-fried veggies here – but still manages to taste absolutely delicious, from the Burmese green tea leaf salad to the veggie-loaded khao soy. Used items and crafts made by refugee students are also for sale in the back, so give it a browse and support a great cause! Their new location is easy to find, just across the moat from the north gate. 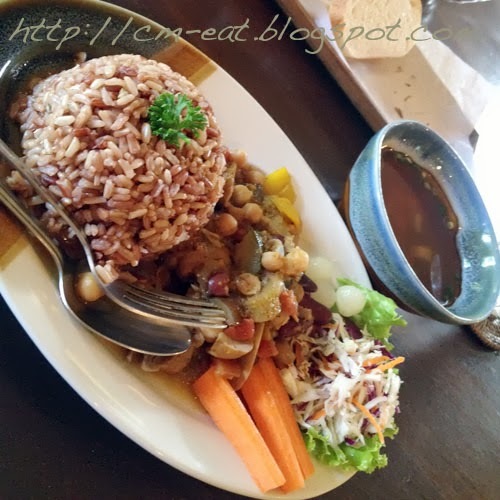 Thailand – Yum, Yum, Good! on a winter’s day, a reporter driving in Phitsanulok province noticed a big poster on the side of the road, which said “GRILLED RATS.” The sign was on the roadside along the route going from Sukhothai to Pitsanulok in Tambon Phaikhordorn, about 10 km from Phitsanulok. The reporter stopped and talked to the rat-selling owner, Mrs. Somboon Yuyen, age 50, who lives on Tharmmul road, Amphur Meuang, Chainart province. She said that selling grilled rats is a business that provides revenues to many families in the area. 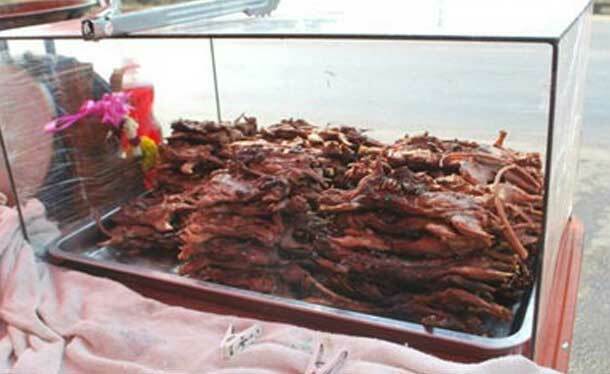 In winter, many local people like to eat grilled rats and come to buy her rats. Sometimes there are so many customers, she runs out of grilled rats to sell. Mrs. Somboon has been selling grilled field rats for about 7 years. In the decade before that, she used to mainly catch the field rats to sell to the grilled rat shops. Back then the price would be 30 THB per kg ($1USD). Her revenue would total only 200 THB per day. Then the wholesale rat prices increased to 80-100 THB per kg. However, the grilled rats had a higher price of 150 THB per kg. So Ms. Somboon and her husband began to catch the field rats to grill and sell themselves. What a better way to catch up with a friend over coffee and cakes in the lovely tropical garden of Fern Forest Cafe. 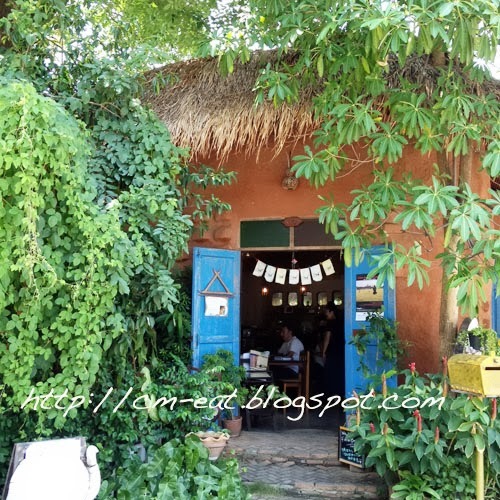 Fern Forest Cafe is set in a wooden Thai house in one of the lanes in Chiang Mai’s charming old city. You can dine in the shady tropical garden, or in an air-conditioned room in the house. The menu is quite extensive, with lots of different types of cakes, coffee and other drinks, as well as meals like quiche and sandwiches. 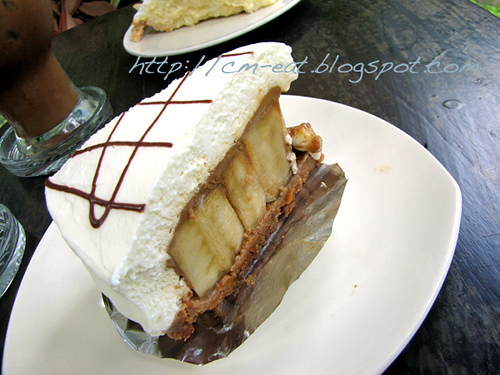 I opt for the Banofee Pie (see photo) – very interesting! I have never seen anything like it! My friend chose the Coconut Pie, which is also quite nice. 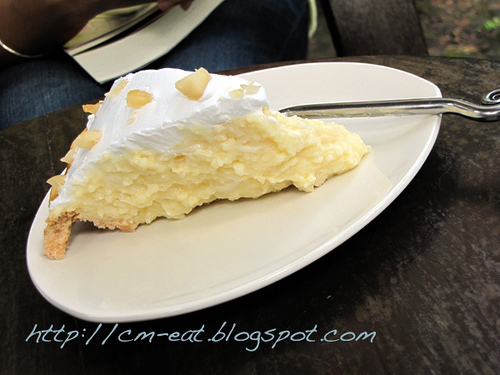 The pie is filled with shredded coconut in smooth, soft and creamy (something like) custard. Also 75 baht ($2.42 USD). Incidentally, quite a few people from various internet sites recommend this pie. The coffee is fine. Apparently Fern Forest Cafe grows their own coffee. Coffee connoisseurs may not find it too impressive though, but I find it quite pleasant, and not bitter. All in all, I think Fern Forest Cafe is a lovely coffee shop. Very nice relaxing ambience, very good (and interesting) cakes, pretty good coffee, reasonable prices. It’s worth a visit if you’re in the area. It’s also quite a popular place with streams of people coming in an out the whole time we are there. 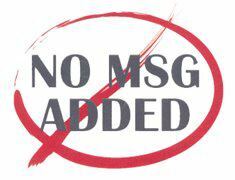 I can’t recommend this place enough – check it out! This cutely named eating place opened in its new premises a few months ago on the Chang Klan Road, on the same side of the road and about three hundred meters before the huge Shangri La Hotel. 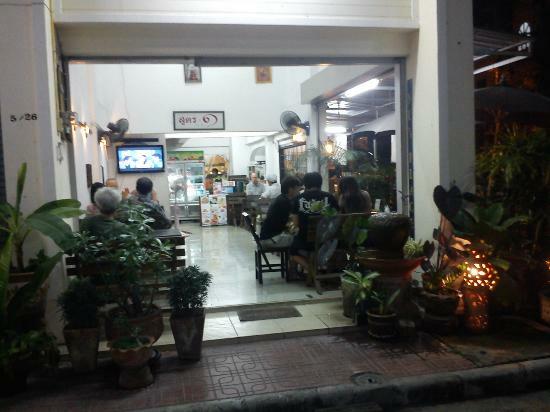 There is a car park adjoining the spacious restaurant, which is open from 8a.m. until 5p.m. every day (closed on Tuesdays in ‘low season’). It’s a difficult place to categorise, perhaps more of an all day café or what might be called a ‘diner’, than a restaurant. The menu is quite large and features breakfast ‘sets’ as well as many other dishes. It serves so many things that one would never go hungry, but it is not a dining out experience in the style of a fancy restaurant. It has plenty of space, comfortable tables, a huge selection of magazines and newspapers and makes for an idea place fro a ‘brunch’ or tea as well as breakfast. On a recent visit I enjoyed the home made bagel served with plenty of butter on the side, cream cheese and Norwegian smoked salmon while by Thai friend went for the mildly spicy chili hot dog. We both had smoothies and they were absolutely delicious, a nice blend of different fruits. This is a quiet place for a snack or a substantial day time meal. (On the Night Bazaar Street, virtually caddy corner to Pantip Plaza, the giant high tech shopping center). NOTE: If you don’t wan to go out, they WILL deliver! Very Good American food, especially considering, it’s half way around the world! If you get tired of pad thai, check out Miquel’s; seriously, it’s quite good. Of all the indian restaurants I’ve tried in Chiang Mai, Le Spice is my favourite. If you’re with a group of people, it’s always fun to order a number of dishes a la carte and share. Just think, the more people you’re with, the more dishes you can try. To aid the selection process, decide what kind of curry you’re in the mood for [vindaloo, masala, saag, etc.] 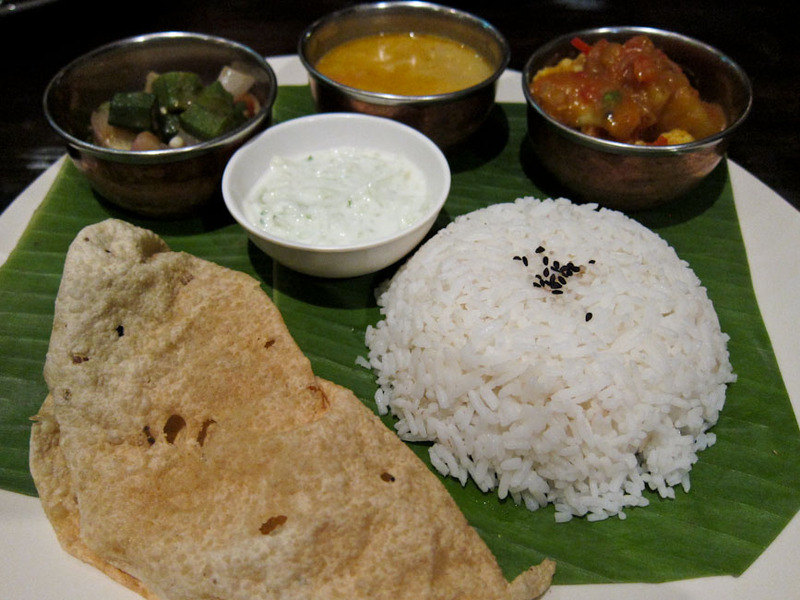 and then choose the meat/vegetable [chicken, mutton, beef, fish, paneer, etc]. To get there, drive down the night bazaar road and about midway you’ll see the Kalare complex on your left. Turn immediately left down the soi and you’ll see the brightly-lit Le Spice sign on the right. notables | fish tikka. malai kofta [vegetable balls in a creamy curry]. vindaloo and/or masala [fish, chicken, mutton, you decide]. saag paneer [homemade indian cheese in spinach curry]. bengan bharta [eggplant curry]. any rice biriyani. lots of garlic naan. le spice naan [addition of dried fruit, coconut = funky]. sweet notables | kulfi [spiced rice ice cream]. kheer [indian rice pudding]. personal note: It’s also very ‘carnivore friendly’.